The Mummy is one of the latest playtech slot games which has all the action and excitement of the popular Hollywood blockbuster, including numerous cash Bonus rounds. 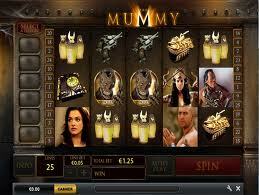 The Mummy is expected to be 2012’s number one slot, and was developed by Playtech who also boast other popular slots such as Alien Hunter, Monty Pythons Spamalot Slot, Call of Duty 4 and others. Stunning high quality graphics combined with live action from the movie create an engaging and visual experience for players. To add to the excitement, the interactive bonus rounds have the potential for huge payouts as well. The Lost City Adventure Bonus – which activates anytime during the base game. Players will be transported through to a lost Egyptian city of antiquity on a time travelling adventure and may choose an ancient crate containing a special cash reward. The Lost City Adventure Bonus is a standout feature across all online slot gaming. With its stunning visuals, big prizes and live action from the film, players are guaranteed to be surprisingly entertained. 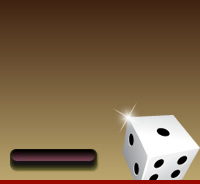 Free Games Bonus Round – Will be activated when 3 bonus icons show up anywhere on reels 1, 3 and 5 in the base game. This Bonus rewards players with 5 free spins and an extra Super Spin, where collected Wilds are released which enhances the players chances of winning massive payouts. Mummy Hunt Bonus Round – The players’ objective in this action packed round is to eliminate as many mummies as possible for cash rewards. The Bonus will be triggered when Mummy Hunt Bonus icons show up on reels 1 and 5. For every mummy that is eliminated the potential for a massive payout is heightened by repeat cash rewards of 3x the line bet. This excellent Bonus round creates extra excitement for players as it contains plenty of action from the film itself.